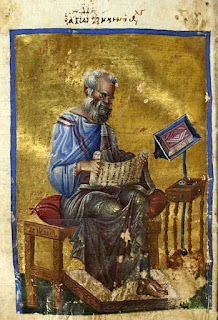 Evangelical Textual Criticism: Does Scripture’s Self-Attestation Apply to Textual Criticism? Does Scripture’s Self-Attestation Apply to Textual Criticism? The Reformed tradition has long held that one of the means by which Christians are convinced of Scripture’s divine origin is through the internal testimony of the Holy Spirit. This work of the Holy Spirit is essentially one in which he removes the blinders from our eyes to see the truth and beauty of the Bible. Both these qualities were there before, but it takes the work of the Spirit to help us appreciate them (in both senses of the word). As the Westminster Confession puts it, “our full persuasion and assurance of the infallible truth and divine authority thereof, is from the inward work of the Holy Spirit bearing witness by and with the Word in our hearts” (§1.5). This quality is sometimes also referred to as Scripture’s self-attestation. Scripture impresses its own nature and authority upon us, we might say. Many Christians can attest to this feature of the Bible in their own experience. In this post, I don’t intend to defend this particular doctrine; I take its truth for granted. Instead, I want to ask those of us who hold to this doctrine to reflect on the level to which it applies. In particular, I want to ask if (a) the doctrine applies to canonicity, does it also (b) apply to textual variants? If the Spirit attests to the divine qualities of Genesis or Jude, does he also attest to the divine ending of Mark’s Gospel or to the right form of Jeremiah? (1) We need to recognize that the historical process of the church’s recognizing canonical books is simply not parallel to the historical process of textual transmission. 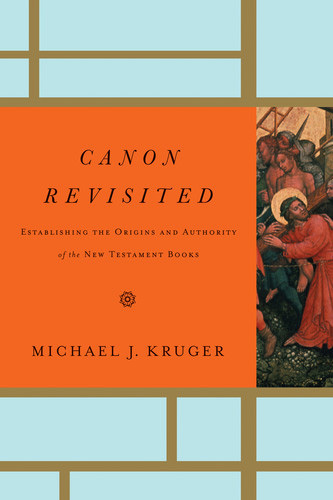 In the former, the shape of the canon is determined by the conscious and intentional actions of the corporate church as it receives these books. In the latter, the shape of the text is not determined by conscious and intentional actions of the church, but is determined by a myriad of causes during the transmission process, the most common of which is unintentional copying mistakes by individual scribes. Put simply, the canon is the result of the church’s corporate response; the individual textual variations are not. Thus, there is no reason to think that the final shape of the text is necessarily the original one. See John H. Skilton, “The Transmission of the Scriptures,” in Stonehouse and Woolley, The Infallible Word, 137–87. 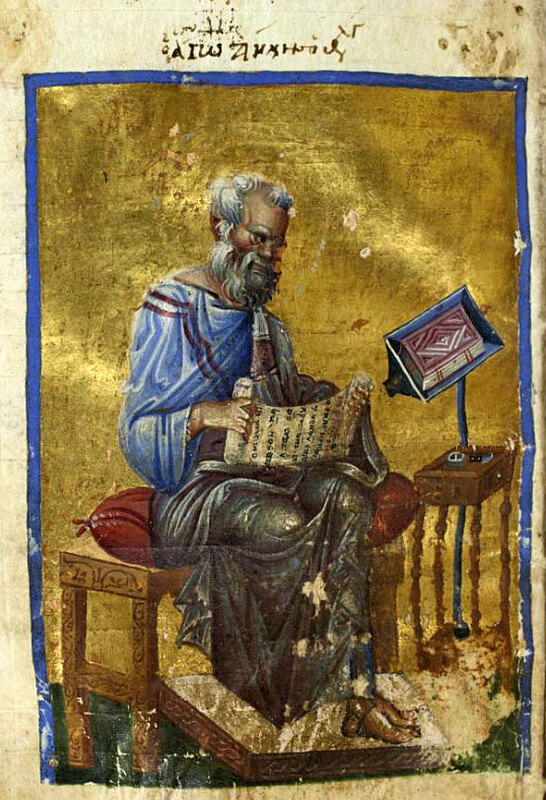 (2) Although we have indications that the early church certainly cared about textual variations and even discussed them, they viewed this as a very different question than which books should be included in the canon in the first place. Metzger indicates that for the church fathers, “the question of the canonicity of a document apparently did not arise in connection with discussion of variant readings” (B. M. Metzger, The Canon of the New Testament: Its Origin, Development, and Significance [Oxford: Clarendon, 1987], 269). Thus, we should not view the church’s acceptance of a book as an endorsement of a particular version of that book. (3) It is a caricature to argue that a self-attesting canon means that even the smallest portions of Scripture, down to even a single word, can be immediately identified by Christians as divine. Such a caricature is built on the presumption that the Spirit simply tells Christians which words are from God and which are not. But the Spirit, as noted above, does not deliver private revelations to Christians as they read a text (or do textual criticism), but simply allows them to see the divine qualities of Scripture that are already objectively there. Since such qualities are bound up with the broader meaning, teaching, and doctrine communicated by a book, they are not as applicable to individual textual variations (which, on the whole, tend to be quite small and change very little of the overall meaning). As a result, two different copies of the book of Galatians, though they would differ at minor points, would both still communicate divine qualities. (p. 101 n. 37). In response, I would say that point one might apply to what Mike Holmes calls the “micro-level instability,” short variations at the verse-level. But I’m not sure it applies to those cases of more macro-level instability like Mark 16 or Jeremiah. I agree with Kruger’s second point, but I confess I don’t see the relevance to the theological issue at hand. The question isn’t what the early church did or didn’t do; the question is what the doctrine of the Scripture’s self-attestation might have allowed them (and us) to do. Point three seems the most important as it begins to tease out the level at which Scripture’s self-attestation applies—and that is the real issue with regard to its application to textual variants. With Kruger I agree that two copies of Galatians, or of Mark (to return to the main example), would both communicate divine qualities. We could probably include the various versions of Jeremiah here too (though maybe Kruger wouldn’t want to). That is an important and helpful apologetic point for Christians when thinking about textual criticism. But my question is whether the logic would apply to larger textual variants that are not “quite small” and that do change something of the overall meaning. Obviously, these cases are the exceptions not the rule. But the question still stands: if the Holy Spirit can testify to the divine qualities of the book of Jude, does he not also, then, testify to the divine qualities (or lack thereof) in John 7.53–8.11 or the additions to Esther? Or should we conclude that both versions of those respective books still communicate divine qualities and so it does not apply? I know how I would try to address this issue, but I’d like to hear from readers. Does Scripture’s self-attestation apply to textual criticism? I’ve been making the same point for a while now. While I agree with Kruger that it is a stretch to apply self-attestation to minor textual variation, but to say it only applies to books and not to the actual contents of the books undermines self-attestation because a table of contents is meaningless without the contents it represents. As you point out, there are those exceptional textual issues that are not minor variants but extended portions of Scripture like the Pericope Adulterae and the Last 12 Verses of Mark. These are complete narratives contained in no other parts of the Scripture that were received by the church, both East and West, as Scripture for over 1,000 years. If self-attestation was not at work for these narratives, it seems arbitrary to argue self-attestation for epistles like 2 and 3 John. I’ve been making this point for some time now and I have yet to hear a meaningful response to the problem. Finally, The Perciope Adulterae and the Last 12 Verses of Mark are not “textual variants” in the sense that we usually speak. We are not talking about the slip of a pen or other sorts of simple emendations a scribe could have made. Personally, I don’t even prefer to call these “textual variants” because it tends to lump them into the same category as the other variants of a much more minor nature. Since these readings are not individual books, I prefer to call them “contested narratives” (not “contested readings” as that is essentially the same as “textual variants”). If self-attestation cannot speak to these “contested narratives”, then we have no consistent defense for this doctrine. I find the whole idea of self attestation as unconvincing. My main reason for rejecting it is that the writings themselves do not claim divine authorship - with the possible exception of Revelation, which, ironically, was the book the early church had most difficulty accepting into the canon. I suggest that you look at these passages which claim divine authorship. 2Tim. 3:16 "All Scripture is breathed out by God..." 2Pet. 1:21 "For no prophecy was ever produced by the will of man, but men spoke from God as they were carried along by the Holy Spirit." 1Th. 2:13 "And we also thank God constantly for this, that when you received the word of God, which you heard from us, you accepted it not as the word of men but as what it really is, the word of God, which is at work in you believers." Also word search the Gospels and the Epistles for the "word of God." You will see Jesus and the Apostles through many passages claimed it had divine authorship. Then going to the Old Testament you will find "Thus says the Lord" more than 400 times. I think it is clear that the writings do claim divine authorship. Wonderful questions Peter! Any response to these questions must consider the issue of time, time across generations. Do we expect God to confirm every element of his word in our lives in a short period of time? Or is this a process that can take a lifetime? Furthermore, could this process of confirmation take generations? It appears to me that the process of the Spirit's work to establish his word can sometimes take a lifetime, as individuals yield to the Spirit's work in their lives. For example, in the life of Martin Luther, the Holy Spirit moved powerfully in Luther's life through the book of Romans, but not, through the book of James. Much could be due to his particular circumstances, he was battling the very core doctrines of salvation. In other Christian's lives, God has used the truths in the book of James in powerful ways (in my own life, for example). Therefore, to Martin Luther, Romans was obviously inspired, but not James. In my perspective, Romans and James are inspired, they have both been used powerfully in my life. Now, focusing out a bit and viewing this from the perspective of generations, God has moved in his people in different ways. And God's people have responded to the Spirit's moving in various ways throughout generations. If we think of 2 Kings 22, we see that the word of God, the Law was even lost to the people of God for a time until it was rediscovered during a time kf national repentance. To summarize what I am trying to say here is that, it may be a mistake to look at the Spirit's confirmation of his word in a uniform and monolithic way because much depends on the heart condition of each person, which is hardly perfect. Coupled with this, one must also consider the human responsibility of faithfully transmitting God's word. Consider Deuteronomy 17:18-19, it was the King's responsibility to not only faithfully transmit God's word, but to read it and study it. I think that this is where modern textual criticism comes into play. Now, at a time never before seen in history, Christians have the tools and technology to better determine the textual history of the Bible. It is this generation's responsibility to use these tools and allow God to work to confirm his word. I think that it may be that the Spirit IS moving in the lives of Christians, using the modern tools of Textual Criticism, to confirm his word, even individual variants, to Christians. I recently addressed virtually the same question at http://www.thetextofthegospels.com/2016/08/trusting-bible-response-to-john-piper.html . Despite the claim that those who would appeal to the internal testimony of Scripture to argue for or against "even the smallest portions of Scripture," this seems to be exactly what some folks are doing where the ending of Mark and the pericope adulterae are concerned. And it does not help at all to insist that the Holy Spirit "simply allows them to see the divine qualities of Scripture that are already objectively there," because said "objectively there" qualities are the question at issue. What's the /objective/ means of perceiving these "objectively there" qualities? If someone says, "Well, /I/ don't sense the Spirit's affirmation about this text," how shall one prove otherwise? I suppose one could take the case to the court of the consensus of the church -- but then, on the same principle, one might embrace the consensus-text of the church. No one except Byzantine Priority advocates are doing that, and when they do, they insist that it is for scientific, rather than theological, reasons. As a brief comment: all this sounds like putting theology ahead of the text itself. Given that diverse evangelical, orthodox, and even other Christian groups or individuals differ regarding the wording of numerous variant units (or even longer variant narratives) throughout the NT, to that degree it should be obvious that the Holy Spirit is not precisely guiding the Church as a whole or any particular individual in those matters (even if He generally confirms the authority of the NT books and their basic content). If so, the blinders are not miraculously removed so as to provide absolute certainty regarding the precise wording or specific content of the autographic text. Our theology should be obligated to account and allow for textual variation as well as human-based attempts to resolve such, rather than attempting to force a preconceived theological concept upon the text itself. Well put Maurice; took the words out of my mouth. In a similar way, I think that might be true with regard to Robert's thoughts. It may still be possible to apply such a doctrine to the books (including their contents) in a general way, without absolutizing it to mean every word in every textual form. Whether one reads John with or without the PA probably doesn't really change much about believers' sense of the divine voice in the book. If I cut a few chapters off of the Exodus tabernacle account, most people probably won't even notice. You can even translate the text into an entirely different language, and people still encounter God through it. The content is still important, but you can still get the big picture, even if many details or even major contents differ. That said, there may indeed be times when the contents differ so much that the texts are no longer recognizable as having the same big picture. The long Daniel text with Suzanna and Bel and the Dragon is quite different from what the book of Daniel (and its textual predecessors) presumably looked like in earlier forms. In that case, we have to reckon with the fact that the differences are so great over time that the way they are received must have varied greatly throughout their history. Scripture grew in time (sometimes substantially), either linearly or in parallel with other forms, and these different forms had different receptions. To this day, Christians continue to debate which form or forms should be accepted, and perhaps this will always be the case. When it comes to Daniel, don't forget the Song of the Three Hebrew Children, which plays an important part in Christian liturgy to this day. There's no clear cut off point between Scripture as a whole having internal evidence of divine origin and individual words having it. I think this is similar to the fact that it may be possible to claim that a digital image is beautiful when it is difficult to make the same claim for a single pixel. I do not find that individual occurrences of καί or waw, taken on their own, provide any more evidence of divine origin than a single pixel of a photo does of beauty. However, as a pixel can contribute to the beauty of the picture so individual words may play a part in an internally-based formal argument or subjective feeling of the divine origin of a portion or the whole of Scripture. I see no reason why a disputed variant might not play some role within a larger argument for the divine origin of Scripture. I also don't see why self-authentication should necessarily be seen in mainly subjective terms. As usual, well said! The analogy used is well suited to this topic. I, at least, have a much clearer picture, pun intended, based on your analogy. I wonder if there isn't some other question that is more central to your quest to think theologically about textual criticism? After all, why would this discipline exist if Scripture's self-attestation of its truth, and thus divine authority, extended to matters of alternative readings whether at the letter, word, or segments of text level (including Mark 16 and John 7.53-8.11)? I expect you have considered how the doctrine of preservation and the doctrine of inspiration intersect with the existence and aim(s) of textual criticism? May I also mention the importance of the role of the doctrine of the sovereignty of God in view of such facts including that textual criticism was done by those preserving the Old Testament text long before the giving of the Holy Spirit to Christians? On a related note, on what basis would you say the Israelites took the Old Testament to be divinely authoritative? Another related question is whether in Old Testament times or New, how much do you think that people can appreciate the 'truth and beauty' of God's Word without having received the Holy Spirit? And what part would you say that the common grace of reason has had in textual criticism from Old Testament times to the present? These are the most salient questions that came to mind after reading your post. Finally, you mentioned that you know how you would try to address your question - will you be sharing that with us? Did God speak words? If He did, then don't you think He would affirm those words as originating from His own self? Where does the difference lie between self-authenticating veracity and self-authenticating canonicity? "But if we cannot feel that this is part of John's Gospel, we can feel that the story is true to the character of Jesus. Throughout the history of the church it has been held that, whoever wrote it, this little story is authentic. (Footnote: "Tenney speaks of 'its ancient character and undoubtedly historic truthfulness.' Most scholars would accept this as a fair statement.) It rings true. It speaks to our condition." I too like the PA and the Long Ending of Mark, and consider both autographic -- but my reason for such (without question) is tied to a particular theoretical and methodological conclusion regarding the establishment of the text and not because of any presumed "ring of genuineness" or "self-authenticating veracity". To compare and contrast: much as I might agree with the wording and content of passages such as Ac 8:37; 15:34, Lk 17:36, or 1Jn 5:7, that same theory and method equally precludes originality acceptance of such; the same applies to various interesting or even semi-acceptable agrapha such as the lengthy Western insertions at Lk 6:4 or Heb 11:23 by D/05 and D/06 respectively. Somewhere along the line, text-critical objectivity has to supplant text-critical subjectivity. Thanks all for these comments everybody. Hopefully I can respond in more detail in a few days. James Snapp, you have reminded me why I did not cite Piper in this post despite his recent (and free) book defending Scripture's self-attestation. That reason is that Piper does not (contra your post) think that Scripture's "peculiar glory" resolves the problem posed by textual criticism. As he says in the book, a "detailed historical argument" is needed to "respond to the arguments against the reliability of the text we have" (79). But he doesn't give that in the book because he says, "I am convinced that in the end none of us settles the issue of biblical authority decisively on the basis of historical arguments [including those re: TC]." Are you sure that Piper means what you think he means? 'Cause if no historical argument based on tangible evidence is ever decisive -- as he just claimed in the excerpt you provided -- then what does that leave as the decisive factor? Yep. For Piper historical argument (i.e., TC) can tell you that we have the original text of the human authors. But more is needed to convince you that this original text is also divinely inspired. For what that "more" is, you'd have to read his book. I'd like to begin with the caveats that 1) I am a theologian and not an NT scholar, and 2) I have not read Kruger's book... but one thing that is confusing me a bit in this post is what I perceive to be some conceptual slippage between the Spirit's "testimony," "divine authority," and "infallibility" toward the beginning of the post and then the "communication of divine qualities" introduced in the Kruger quote and picked up for the remainder of the post. I'm not sure how and whether these two concepts are the same. Certainly if the Spirit testifies to the authenticity of some portion of scripture as the infallible word of God, then it will "communicate divine qualities"... but the reverse doesn't seem to also be true. That is, it seems like the PA or the long ending of Mark could be affirmed as communicating divine qualities independent of whether or not we affirm some internal testimony of the Holy Spirit. As could non-scriptural true statements about God and God's work. I think the basic confusion comes up in Kruger's point 3, where he begins the paragraph by referring to the "divine qualities of Scripture" or parts of scripture that are "identified by Christians as divine", and then goes on to talk about scripture "communicating divine qualities." Frankly, I'm not sure what it even means for scripture to be "divine" or have "divine qualities" and I hope this is just a shorthand for divine inspiration/authorship of some sort. But whatever the testimony of the Spirit is, it certainly seems to me that it should be more than just an authentication of the fact that the scriptures communicate divine qualities. If this is all that the canonicity of the whole or any part of scripture entails, then we'd be obligated to include any number of other texts in the canon. I would not consider the work of the Holy Spirit to be a 'subjective' process, nor the absence of it to be 'objective'. It seems to me that the Holy Spirit works through both subjective and objective thinking. "It seems to me that the Holy Spirit works through both subjective and objective thinking." Perhaps so, but when different people who accept the leadership and guidance of the Holy Spirit as a proper theological construct arrive at differing conclusions regarding this or that variant reading or variant narrative -- what then? I believe you have highlighted the crux of the issue, what to do about differing results when parties hold to the same theological construct. If the Spirit's self-attestation includes not only the "Truth" of scripture, but even which variant is original then we should have unanimity among such believers. I would contend that this is the reason, at least originally, that evangelicals have argued for originality in the autographs and not copies. Also, this belief in originality of the autographs is what drives us to be so concerned with TC. This question is more pesky than people seem to realize. Comments here seem to assume that the discernment of the canon on a book by book basis was all tidy and neat. As if at the book level, all Spirit filled believers have always been on the same page. In reality, they weren't. The canon had "fuzzy edges" in regards to disagreements over the antilegomena, Apocrypha and other similar issues. Since there were disagreements about this issue in regard the the canon at the level of the books, such problems do nothing to make the discussion of significant variants within the contents of the canon go away. Rather, the whole question is dismissed as if a historical-critical praxis can be the only reasonable answer. This praxis is presupposed but never actually proved. Happy First Day to Pete Head!